Gosh was held responsible for killing of demonstrators. Khartoum: Sudan’s security and intelligence chief quit on Saturday, state media reported, a day after the defense minister stepped down abruptly as interim leader following the overthrow of President Omar al-Bashir and protesters kept up demands for change. Defence Minister Awad Ibn Auf stepped down as head of the transitional military council late on Friday after only a day in the post, as protesters demanded faster political change. The new head of the military council, Lieutenant General Abdel Fattah al-Burhan Abdelrahman, accepted Gosh’s resignation, state news agency SUNA said on Saturday. Burhan is a military commander believed to be more ready to talk to the protesters. He was the third most senior general in the Sudanese armed forces and is little known in public life. As head of Sudan’s ground forces he oversaw Sudanese troops fighting in the Saudi-led Yemen war and has close ties to senior Gulf military officials. Celebrations erupted on the streets of Khartoum overnight following Ibn Auf’s resignation. Thousands of protesters waved flags and illuminated mobile phones in the darkness and drivers hooted car horns. People chanted: ‘The second has fallen!’ a reference to Ibn Auf and Bashir, witnesses said. 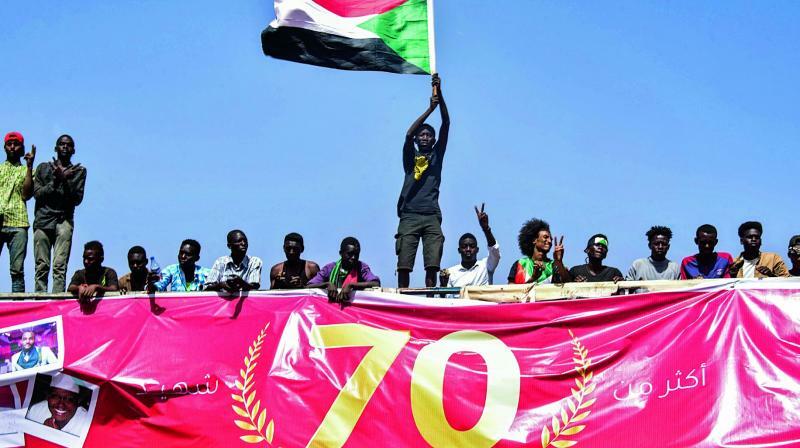 The Sudanese Professionals Association (SPA), which has been leading protests to demand a civilian government, called for more demonstrations on Saturday. “Today, we continue the march to finish the victory for our victorious revolution,” the SPA said in a statement. "We assert that our revolution is continuing and will not deviate from its path until we achieve ... our people's legitimate demands of handing over power to a civilian government," it said.